Just a few questions for you from an “untrained” theist. I see that you and many other evolutionary minded folk have quickly claimed that E.coli have evolved before the eyes of scientists. I would like to have a few points clarified by you if that is OK.
Firstly, isn't an increase in genetic information required for evolution to be “proved” in the experimental setting? If you are therefore claiming that E.coli using citrate as an energy source is entirely new information, mustn't it mean that this was never possible before? Please tell me if citrate is a substrate found in the TCA cycle (or citric acid cycle)? Also is this cycle the main method of all aerobic organisms (which includes E.coli I believe) to produce energy from various substrates? On the topic of citrate, could you please tell me if E.coli facultatively use citrate in an anaerobic (low oxygen) setting? Do E.coli have all the necessary mechanisms to use and utilise citrate but will only transport it through their cell walls in certain settings (such as an anaerobic one)? If this is the case, then has E.coli truly “become” able to use citrate? Is it possible that this is yet another example of point mutation in an organism to modify already present methods of operation? Is it also possible that this experiment's results are yet another example of good press for bad scientific conclusions? Are you possibly just clinging to another poor excuse of a support for a dying theory? Have you perhaps overstretched your assumption that the world is all chance and no design? Are you betraying just a little of your unrighteous and unjustified bias that there is no God by forcing science to be your unwilling ally? Are you not merely running from what you know? (That you are responsible to God who made you, the absolute law giver who determines absolute right and wrong). Don't you a mortal man stand this very moment on a flimsy perch over the fiery judgement for your rebellious unbelief and sins? That said though, aren't you and all atheist offered freely the gift of eternal life and peace with God if you will abandon your sin and trust in Jesus; in His work of atoning death and glorious resurrection? Well that's all my questions for now, I would love to know your thoughts. Please be honest and consider carefully your response, I would hate to see you make a monkey of yourself. P.S. If you do the research I think you will find the answer to all the above is “yes”! Lol - nice attempt, Im glad that you could get a vet in to have a go at this, I was worried that you guys would do it yourself. Nonetheless, we know that E.Coli can use citrate - however, such E.Coli are the result of plasmid alterations to the DNA. As you are aware, a plasmid is free floating DNA which can be copied onto the DNA of bacteria. citrate-utilizing ability. Appl Environ Microbiol 38:956–964. 46. Foote MJ (1998) Contingency and convergence. Science 280:2068–2069. That is a vastly different situation to the Lenski experiment whereby two mutations were observed resulting in Citrate digestion. Thus the premise of your article fails. group with other differential characteristics and with habitat. J Bacteriol 9:59–77. Garrity GM, Brenner DJ, Kreig NR, Staley JR (Springer, New York), pp 607–624. I strongly suggest that you actually read the experimental paper before launching into a criticism. Furthermore, although I have some knowledge in this area - I am by no means an expert (same as yourself) - however we do have some researchers in our group and they can probably clarify this issue to a greater degree. I will alert them to your article. Please feel free to join in the conversation David - we value your input. 0 is a value right? Thank you for your comments, they do clarify one thing: the truth that you are presupposing evolution to have definitely taken place and will not examine the evidence. You have assumed that when citrate is used in E.coli anaerobically and must have a substrate to reduce it and thus produce power for the bacteria, that this is the ONLY way that E.coli can use citrate at all. You have assumed that if citrate comes into the cell as an oxidised substance that it must be used in a novel manner. The point of my mention of the TCA cycle is to point to the use of citrate aerobically. The mutations (regardless of there being 2) in this senario have moved citrate into the cell - that is what can be clearly concluded from Lenski's paper. There are transporters for citrate into the bacterial cell as you have already mentioned. Here is another - for tartate I believe. So now tell me Oh contributor of much, where is the new information in this senario?!? There are transporters already present in the cell. There are processes to digest the citrate aerobically in the cell. Could it be possible you have here a set of mutations that have merely jammed on a anaerobic transporter or prehaps changed the tartate transporter? Occam's razor demands that the SIMPLEST explanation be given. So what is more likely, some fanciful increase in genetic information (you cannot wriggle around this saying there is a new species mate, neodarwinian evolution requires new information not speciation - you know that I am sure)? Or is the mutation of existing genetic information more likely? Or is it merely your presupposed evolutionary bias that demands your conclution? Do E.coli have all the necessary mechanisms to use and utilise citrate but will only transport it through their cell walls in certain settings (such as an anaerobic one)? As you are aware, it is actually part of the definition of E.Coli (without plasmid contamination of course). Could it be possible you have here a set of mutations that have merely jammed on a anaerobic transporter or prehaps changed the tartate transporter? You have perhaps answered that question above - there is clearly now (at the very least you will admit) an alteration to the cell's ability to transport citrate into the cell, however, I understand that such an alteration would negate the cells ability to intake through the tartate cycle (thus robbing the cell of neccesary chemicals for continued reproduction). The only way, on your proposed analysis, that same would be possible is if there was now genetic information for coding both the tartate and citrate transportation systems. I think thats called addition. Furthermore, as you are aware, the change from anaerobic to aerobic transportation is not a simple matter of switching from one to the other. Further, occhams razor does not rule in favour of either of your postulated outcomes because of the presence of the two step mutation. If there was a simple conversion between existing functions from tartate to citrate or from anaerobic to aerobic then only one step would have been required in that the new function would have expressed with the same efficacy as the function did prior to the mutation with the previous conditions. This did not happen - the mutation was innefficient in its original manifestation, then only outstripping the original population of Cit- E.Coli upon the second mutation. Thus, for these reasons your theory is flawed because you have yet again approached the experiment on your theistic pre-suppositions. In any event, we are boxing at shadows here. I am not an expert - perhaps you should discuss this on our website with actual experts - where your comments in furthering this debate would be appreciated (we want to see what you guys actually think about this rather than just deride you). You can email me at thedawkinsman@hotmail.com if you have difficulties in reaching our message boards. Just so you know Alex. David Gee is the Operation 513 leader for our European ministry. He was originally trained and preached in Brisbane. So we aren't appealing to outside sources, but rather are using the guys within the ministry. 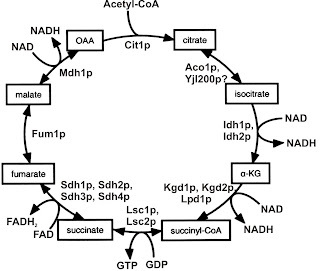 The Krebs cycle quite obviously provides for citrate to be aerobically utilized within the cell. It is a cycle used in most plants and animals, those than can digest citrate, and those that can't. Perhaps it is irrelevant to the discussion at hand, which is how the E. coli accesses citrate for inclusion in the cycle. The CitT carrier you cited in the Pos article is present in a plasmid, which can be transformed into E. coli clones in order to allow aerobic citrate transportation. This plasmid transformation is clearly laid out in the Pos paper as the means for introducing aerobic citrate uptake. I believe Alex brought this to your attention. The ancestral clone E. coli used as the basis for this LTEE experiment had no citrate activity, and no plasmid activity. The Cit+ clones were tested for ancestral linkage and confirmed that they were descendants of the original clone; in addition, they returned a negative for plasmid activity. This confirmed that the Cit+ mutants were not contamination, and that the mutation was in the native DNA of the cell. where is the new information in this senario?!? There are transporters already present in the cell. There are processes to digest the citrate aerobically in the cell. Could it be possible you have here a set of mutations that have merely jammed on a anaerobic transporter or prehaps changed the tartate transporter? This assumption does not follow. The Cit+ mutation could not be a variant of tartrate transporter if the tartrate transporter was not present - i.e. if there was no plasmid present, which there is not. And as Alex pointed out, changing a transporter from anoxic to oxic is not a simple switch either, there are a number of different operons that would need to be worked on. Lenski et al notes that none of the clones exhibited citrate digestion for about 30, 000 generations, despite being under environmental stress and experiencing billions of point mutations, suggesting that if it were simply a question of "turning on" a potential that was already inside the cell, they were exceptionally poor at it. The historical contingency test applied to the Ara-3 showed a higher propensity to utilize citrate in the Cit+ clones present in the later rather than earlier Ara-3 sampling, suggesting that there were one or more "behind the scenes" mutations causing an increase in citrate utilization. This dismisses the idea of a single mutation, such as you are implying, causing a "switch" in a transporter. Instead, it shows historical contingency for Cit+ mutants based on some (as yet uncharacterized, see Lenski's discussion on how they intend to proceed) potentiating mutations. The presence or absence of these potentiating mutations is mitigating the citrate utilization attempts of Cit+ clones, as explained above. The observed experimental data is not in line with your hypothesis. Lenski has previously published data in insertion-sequence elements active in the LTEE and has made comments on the activity of these IS elements in potentiating Cit+ mutation and citrate utilization. I have cited a couple of papers below. The "fanciful increase in genetic information" you mentioned has already been scientifically presented as active in this case. imental evolution of bacteria. Res Microbiol 155:319 –327. Thank you Korrine for pointing out my ignorance re the tartate transporter issue. I clearly have a lot to learn about this aspect of biology. I was thinking about it today and wondering if you might be having a bit of a misunderstanding about the importance of increase. Genome size (in base pairs, or more commonly, in C-value of picograms) is not necessarily indicative of the complexity of an organism. Humans have a C-value of about 6.43 (males) and 6.55 (females), whereas the marbled lungfish (P. aethiopicus) has a C-value of 132.83 pg, yet humans are (arguably) more complex than lungfish. A number of protozoa even have larger C-values than humans. It is not the size of the genome, it is the code contained therein that creates the diversity. Mice (Mus musculus) and cows (Bos taurus) have comparable genome sizes (3.30pg and 3.70pg respectively) yet are extremely different in size, appearance and function, b/c the code contained within that genome is different. That is why a mutation causing a change in code is just as valuable an agent for evolution as an insertion mutation that adds base pairs (or a deletion mutation that removes them for that matter.) Focussing on whether or not the total genome size has changed is really missing the whole picture. "Nonetheless, we know that E.Coli can use citrate - however, such E.Coli are the result of plasmid alterations to the DNA. As you are aware, a plasmid is free floating DNA which can be copied onto the DNA of bacteria." Correction: E. coli can use citrate once it is in the cell. As the abstract states that E. coli cannot use citrate as a carbon source "under oxic conditions." Behe quotes from the paper "The only known barrier to aerobic growth on citrate is its inability to transport citrate under oxic conditions." Blount, Z.D., Borland, C.Z., and Lenski, R.E. 2008. Historical contingency and the evolution of a key innovation in an experimental population of Escherichia coli. Proc. Natl. Acad. Sci. U. S. A 105:7899-7906. "That is a vastly different situation to the Lenski experiment whereby two mutations were observed resulting in Citrate digestion. Thus the premise of your article fails." I certainly agree that this appears to be a different situation than plasmid acquisition. The authors of the paper, Behe (an IDer), and I (a creationist) agree that it is probably the result of two mutations. However, it has yet to be demonstrated that this is in fact the case (i.e. no specific mutations were identified). is available for reducing power (40)"
Glad they picked up on this very important detail. It shows that the only barrier crossed in the 30,000 generations and two putative mutations was to transport citrate into the cell when oxygen is present. "However, the Cit+ E.Coli was not found to be using the citrate in this manner - rather, these Cit+ E.Coli do grow on citrate under oxic conditions - using a different method to the one shown in your diagram. The phenotype of the new species is radically different to that of existing E.Coli - furthermore, it is interesting to note that E.Coli inability to digest citrate in oxic conditions is part of the definition of the species (prior to this experiment):-"
I didn't see the diagram. I assume it shows E. coli using citrate after aquiring a plasmid. In the case discussed here there certainly appears to be a different mechanism involved. I would like to know how the interesting taxonomic question of whether E. coli has speciated has anything to do with the creation/evolution debate. Is this person unaware that creationists not only believe in speciation, but believe that is can happen very rapidly? In fact, the creation model actually requires rapid speciation to be able to explain history within our current understanding of baraminology and timescale of earth history. This article may help clarify this concept (http://www.answersingenesis.org/articles/aid/v3/n1/life-designed-to-adapt). "I strongly suggest that you actually read the experimental paper before launching into a criticism. Furthermore, although I have some knowledge in this area - I am by no means an expert (same as yourself) - however we do have some researchers in our group and they can probably clarify this issue to a greater degree." Behe read the paper and has the background to comment. He did an excellent job on his blog http://www.amazon.com/gp/blog/post/PLNK3U696N278Z93O. The most devastating blow to the theory of evolution is that E. coli only had to solve the problem of getting citrate into the cell in aerobic conditions and it took a whopping 30,000 generations to do it. There is no way, at this pace, that the theory of evolution can account for the complex biochemical pathways that exist in bacteria today. There is no way evolution can account for the many complex traits in multi-cellular animals. Scientific research such as this is incredibly powerful evidence against a naturalistic origin. "Further, occhams razor does not rule in favour of either of your postulated outcomes because of the presence of the two step mutation. If there was a simple conversion between existing functions from tartate to citrate or from anaerobic to aerobic then only one step would have been required in that the new function would have expressed with the same efficacy as the function did prior to the mutation with the previous conditions. This did not happen - the mutation was innefficient in its original manifestation, then only outstripping the original population of Cit- E.Coli upon the second mutation." The putative mutations have not been identified, much less characterized on a molecular basis. So, the discussion is like "boxing at shadows." It should be pointed out that in previous studies where adaptive mutations have been examined on a moelcular basis, they tend to degrade biochemical pathways and not build them. My favorite example is one Spetner uses that I wrote up for laymen at http://creationontheweb.com/content/view/3127. No "new information" consistent with the evolutionary requirement of explaining the origin of complex biochemical pathways has been demonstrated here. The most devastating blow to the theory of evolution is that E. coli only had to solve the problem of getting citrate into the cell in aerobic conditions and it took a whopping 30,000 generations to do it. There is no way, at this pace, that the theory of evolution can account for the complex biochemical pathways that exist in bacteria today. There is no way evolution can account for the many complex traits in multi-cellular animals. Scientific research such as this is incredibly powerful evidence against a naturalistic origin. "Lenski et al notes that none of the clones exhibited citrate digestion for about 30, 000 generations, despite being under environmental stress and experiencing billions of point mutations, suggesting that if it were simply a question of "turning on" a potential that was already inside the cell, they were exceptionally poor at it." And this is a devastating blow to the theory of evolution. E. coli only had to solve the problem of getting citrate into the cell in aerobic conditions and it took a whopping 30,000 generations to do it. There is no way, at this pace, that the theory of evolution can account for the complex biochemical pathways that exist in bacteria today. There is no way evolution can account for the many complex traits in multi-cellular animals; generation times are way too long (years, not hours). Scientific research such as this is incredibly powerful evidence against a naturalistic origin. "...This dismisses the idea of a single mutation, such as you are implying, causing a "switch" in a transporter. Instead, it shows historical contingency for Cit+ mutants based on some (as yet uncharacterized, see Lenski's discussion on how they intend to proceed) potentiating mutations. The presence or absence of these potentiating mutations is mitigating the citrate utilization attempts of Cit+ clones, as explained above. The observed experimental data is not in line with your hypothesis." It does not rule out the idea that the mutations are essentially destructive to the existing biochemical machinery of the cell. Previous studies where adaptive mutations have been examined on a moelcular basis demonstate that they tend to degrade biochemical pathways and not build them. My favorite example is one Spetner uses that I wrote up for laymen at http://creationontheweb.com/content/view/3127. No "new information" consistent with the evolutionary requirement of explaining the origin of complex biochemical pathways has been demonstrated here. "The "fanciful increase in genetic information" you mentioned has already been scientifically presented as active in this case." As mentioned above, no "new information" consistent with the evolutionary requirement of explaining the origin of complex biochemical pathways has been demonstrated here. imental evolution of bacteria. Res Microbiol 155:319 –327." Wall of text crits Alex for 2000hp. a) Who is Dr Jean Lightner? b) Can we restrict our references to peer-reviewed scientific papers (in order to cut down on the BS)? c) Do you have any arguments apart from the argument from personal incredulity? Ryan, thanks for your input. You have repeated yourself a couple of times, and I will address the main points which you stressed repeatedly. Your statement that "there is no way, at this pace..." is remarkably poorly thought out. Firstly, 30,000 generations is but the blink of an eye in evolutionary terms (and, no, I do not accept young-earth hypothesis, and b/c that is not what this thread is about, I won't go into reasons why). Secondly, the Cit+ mutation was not the first, nor the only beneficial mutation observed. If you read some earlier papers from the Lenski LTEE experiment, you will see that the E. coli experienced many mutations which led to gradually increasing their efficiency for utilizing the glucose substrate they were provided with. In fact, these Cit- E. coli were shown to be in competition with early Cit+ E. coli , before Cit+ won out as a much more effective adaptive mutation, when accumulative mutations stacked up. Lenski's earlier glucose-usage results from the LTEE experiment are in themselves important and interesting evidences of evolutionary processes at work. The fact that it took 30,000 generations to produce a vastly different digestive strategy is not surprising in the least, as evolution is an accumulative process, and as I pointed out to you, the research has shown historical contingency (that is, Cit+ mutants become better at utilizing citrate as the number of beneficial mutations stacks up in the background.) My statement about the cells being poor at "turning on" was to show that the idea that a "simple switch" effect as proposed by Dave was not occuring. Behe refuses in his article to acknowledge that cumulative mutations occur - a sticking point of his, seeing as many of his "irreducible complexity" arguments were along the same lines, and these arguments he himself admitted were discredited, when he was giving evidence in Kitzmiller v. Dover. It does not rule out the idea that the mutations are essentially destructive to the existing biochemical machinery of the cell. Previous studies where adaptive mutations have been examined on a moelcular basis demonstate that they tend to degrade biochemical pathways and not build them. Perhaps there is some confusion in your mind, as to what evolution is? Evolution is the non-random selection of beneficial mutations. A mutation that causes the degradation of a biochemical pathway may still be beneficial, allowing an organism to survive. Or, an organism may survive regardless of mutation causing biochemical degradation. For example, sickle cell anemia is a detrimental genetically inherited condition, yet it is selected for... b/c it confers protection against malaria (continuing because of detrimental mutation). Another example; humans and simians have the same defective pseudogene (a gene that has undergone a mutation that degrades the pathway, making it effectively "broken") - the L-gulonolactone oxidase gene, which produces an enzyme for synthesizing Vitamin C. Ours just don't work. That's why you can get scurvy for not eating enough Vit C, and yet, here we are, because we used our diet to replace what we could not synthesize (continuing regardless of detrimental mutation). You may ask why we have the exact same gene defection as simians... why, common ancestry of course! I read Micheal Behe's arguments and find them weak and unscientific at best, and deceitful at worst. He claims that the Lenski gene will turn out to be a tweaked CitT and fails to mention that CitT is present in plasmids, and thus ruled out in this case. He also fails to acknowledge accumulative evolution, which, as I mentioned earlier, he did acknowledge (under oath!) as being scientifically proven. I don't really have the inclination to discuss Behe's opinion (and is it just that, I saw nothing scientific in his approach to the analysis at all), b/c frankly, it is not worth refuting, it is so poorly thought out. Is this person unaware that creationists not only believe in speciation, but believe that is can happen very rapidly? You will have to explain to me how you can believe in a major evolutionary process, and yet not accept evolution. Unless you have arbitrarily re-defined speciation, in which case, provide me with your definition, and a science-based case why your definition is true. "In biology, evolution is the process of change in the inherited traits of a population of organisms from one generation to the next." In which case, the Lenski data is quite clearly, evolution of an organism. If you do not agree with this definition of evolution, again, provide me with yours, and scientific evidence of why yours is more correct. There are some gene array data presented in Lenski's paper, and a separate paper, which show which gene regulation areas were changed, but this data is presented in a very sophisticated scientific manner, and I wouldn't expect that a layperson make sense of it. I don't expect you to take my word for it, but I will point out that the main regions with gene expression differences are those involved in cell processes and amino-acid biosynthesis and metabolism, not a known anoxic citrate transporter. Science research takes time, and of course you are welcome to have doubts, but I, as a scientist working in this area, do not feel that the points you have raised are legitimate. And yes, IS are freakin cool. I should know - this is what I do for a living. Let's deal with definitions. If we use the definition "evolution is the non-random selection of beneficial mutations," then all creationists I know are evolutionists and I have no idea why we are having this discussion. Creationists believe that natural selection exists and many, including myself, will argue that non-random mutations occur as well. There are many examples of changes in bacterial populations that occurred on a much more rapid time scale (which, as a believer in non-random mutations, I find very exciting) than the recent experiment discussed from Lenski's lab. From the originally created kinds much diversification and speciation has occurred (e.g. the entire family Canidae is believed to have descended from two canids which were preserved on the Ark less than 4500 years ago). So, if that is your definition, then who is really the evolutionist? So evolution is supposed to account for the origin of DNA and the genetic code it carries, the complex biochemical pathways that we see, etc. all by naturalistic processes. This is the context creationists usually have in mind when they use the term evolution. A brief aside on the idea of non-random mutations: the naturalistic philosophy underlying evolution (which excludes God by definition without considering His existence) is why all mutations are assumed to be essentially random (and not directed). If one assumes this and applies statistics, natural selection will always be considered the reason for non-random patterns. I deal more with multicellular creatures and the "differential reproduction" is generally assumed, not directly observed. The selection pressure is often not strong enough to explain the patterns (See Haldane's dilemma). So, if it the truth that we seek, we need to be digging deeper to make sure we really have the correct explanation rather than merely a rationalization. I am looking forward to more detailed scientific results to see where the evidence actually leads. "A mutation that causes the degradation of a biochemical pathway may still be beneficial, allowing an organism to survive." Amen! And we have many such examples. That is great if you avoid the fact that evolution is supposed to be able to account for the origin of the many complex biochemical pathways we see in living things today. For a naturalistic explanation of life to have any scientific merit, mutations must on average increase the information in the genome and build biochemical pathways. Otherwise mutations are "on a train going the wrong direction." You suggest that Behe is deceitful in his arguments. Presumably you are arguing for a naturalistic origin of life (one of several definitions of evolution). Yet your arguments include equivocation (changing the definition of evolution you use) to "win" the argument. How are cumulative mutations helpful when you haven't even demonstrated that mutations usually go in an "information gaining" or "biochemical pathway building" direction? Is the only "evidence" for a naturalistic origin of life dependent on deceitfully manipulating multiple definitions of the word "evolution?" Hopefully this clarifies the creationist view. The other comments are moot points and I am not going to take the time to address them now. I encourage you in your study of IS. May your heart search for the truth! Is this a degradation of a biochemical pathway, or an increase in information leading to positive selection? And if the "kinds" popped off the ark and promptly evolved into the millions of species seen today, isn't that an example of increases in information and complexity? Of course, by your own invocation of Haldane's dilemma, such rapid evolution (<4000yrs or so) would be impossible without in-vitro death of the organism due to high numbers of negative mutations rendering the embryo non-functioning. But then, you haven't really defined kinds, anyway. As for "changing the definition of evolution" - isn't that what creationists have done? You guys went from "No, NO, NO, mutations don't happen, we are all just as we are!" to "Mutations happen, and speciation occurs, but not they way you say!". How long before you accept the reality? There is a mass of evidence for irrefutable common descent, this is the truth I have found. BTW, Ryan, how much of this have you followed? Do you always ask veterinarians to provide you with molecular biology information? Do you ask a court stenographer to give you legal advice as well? If you concur with the fact of evolution by reproduction with variation or mutation and selected through a process of survival then that leaves one big elephant in the room - why do you require this process to begin 6000 years ago? Why is it impossible for the process to have begun 4.1 billion years ago from a point of abiogenesis? There seems to be no evidence in favour of your conclusion other than a book written by ignorant priests in around 670BC. On the other hand, we have masses of fossil, geological and other observable evidence which rationally results in the conclusion that life on earth is older than 6000 years. If your viewpoint is correct then you must consider that God has put this evidence down to lead us "off track" and I can only ask the question Why? For a naturalistic explanation of life to have any scientific merit, mutations must on average increase the information in the genome and build biochemical pathways. Otherwise mutations are "on a train going the wrong direction." If that was true then bacteria which has gone through the same amount of mutations as a human being would have genomes as long as a human. Yet this is not the case. While it is true that some mutations result in addition to the genome, it is certainly not necesary that all mutations do so. Some may result in the same or less genetic data. The difference is in the nature (compilation, organisation etc) of that data. In fact, we would be very suprised if every mutation resulted in an increase in the genome because over the course of 4.1 billion years since abiogenesis the number of mass mutations would result in genetic code far longer than our present 300,000,000 base pairs. Furthermore, selection is not operating on the level of random mutation. We know this because there are genes which are common to many creatures from an early point in the evolutionary tree. Take for instance the HOX gene which is found in almost all invertebrates (from flys to people) and which governs symmetry. If HOX was randomly mutated then the resulting non-symmetrical species would be expected to arise - but, it is vital to invertebrate development for locomotion etc that the phenotype remain in symmetry. Accordingly, non-symmetrical mutants are "selected" out of the system (usually at birth, HOX mutations would cause gross birth defects). How are cumulative mutations helpful when you haven't even demonstrated that mutations usually go in an "information gaining" or "biochemical pathway building" direction? Is fundamentally wrong. Lenski proves mutation in genomes. That cumulative mutations survive in "information gaining" ways is not the purpose of natural selection. Rather, it is the result of cumulative mutations to the characteristics available to the species which survive. If those mutations involve an increase in genetic information then they get passed ot the next generation - it is not automatically assumed that every beneficial (or at least non-harmful) mutation operates in an information gaining way. But look at it from a practical point of view. A Eukarote has more genetic information than a bacterial cell and can use its aditional features (such as digestive system) to take better advantage of its environment and other species (eating the bacteria). Thus, do these additional features aid in survival - yes. So there is some advantage from a natural selection point of view to having the increased genetic data to carry through the more advanced phenotype. And yet, for a creationist, this same system appears to be one of design? If you didn't appreciate the time and processes involved then I could understand that point of view - I do not think it is valid in view of contemporary knowledge, but each to his own. Surely you can see that what Dr Lightner is using is hyperbole, making a statement that is outrageous to prove a point. You have jumped over the good doctor's main point – that selection of traits do not lead to evolutionary progression but rather that speciation (defined as a change in the characteristics of a group/kind without changing its phenotype through increase in genetic information) is as far as there is evidence that natural selection will go. Time wise you cannot have it because there is no evidence that the fossil record and geological dating methods mean there MUST be millions of years. Especially when you take into account the fact that the speed of light has been found to be decaying and not static which makes you unable to point to any dating method using radio-isotopes and say that you have millions of years. In fact it produces the exact opposite if you factor in the rate of decay of the speed of light. The amount of time in the past that radio-isotopes took to decay would have been far less if the physists are correct. Davies, P.C.W., Davis, T.M. and Lineweaver, C.H., Black holes constrain varying constants, Nature 418(6898):602–603, 8 August 2002. Adams, S., The Speed of Light, New Scientist 173(2326) Inside Science, p. 4, 19 January 2002. Your conclusion is a falacious one, the fossil strata (which are not sequential as any palaeontologist will tell you) and the presence of large amounts of sedimentary geological forms over the face of the earth do not naturally MEAN that there must be millions of years of history but rather it is infered. It is equally valid to infer that there was a world wide flood (sedimentary rocks laid down by water predominately with fossils of many different forms) consistent with the Noaic flood described in Genesis. Your assumptions again have biased you. Again you show your bias – the presence of a consistent use of a gene that is useful in all the species it occurs in could infer what you are saying but equally could point to design. Why would a engineer producing two different buildings make one with reinforced concrete and then coming to the second say ‘I cant possibly use reinforced concrete in this next building, I am making a new building so I’ll use plastic instead!’. You have not thought this through, obviously. Firstly the difference of bacterial and human genome length can simply be explained in the fact that bacteria began with a smaller genome and therefore will always have a smaller genome than humans regardless of mutations. You are assuming a progression that is absent from the system you are describing – your argument fails. Make up your mind which will it be Alex, increasing information means that there will be a larger genome or there is increasing complexity. You have accused us of not understanding what is involved in the purported mechanism of evolution of increasing genetic information caused by random mutations (as in not directed by an intellect). Yet you yourself argue both perspectives one minute you are casting assertions on creationist for not understanding and then the next you are using the exact same terms – which will it be? Just so you are aware, we do concur with molecular science when it says that there will be an increase in the information of the genome and not the size of the genome necessarily if evolution is truly taking place. As for "changing the definition of evolution" - isn't that what creationists have done? There is a mass of evidence for irrefutable common descent, this is the truth I have found. You are citing yourself as your authority here mate and have already proven that you are biased towards evolution. You claim there is a mass of evidence – where? Thus far you have only offered one species of bacteria producing two unspecified mutations to get citrate into a cell that could already digest it and in some situations even import it. Do you always ask veterinarians to provide you with molecular biology information? Do you ask a court stenographer to give you legal advice as well? speciation (defined as a change in the characteristics of a group/kind without changing its phenotype through increase in genetic information) is as far as there is evidence that natural selection will go. Ummm - The new ability to digest citrate in oxic conditions is a change to the phenotype just as much as going from asexual --> sexual, bacterium --> eukarote, etc. These are all changes to the phenotype resulting from genetic mutation. The only difference between you and a bacteria is the additional information in your genome caused by billions of years of mutation, variation and selection. Interesting that you even know about the horizontal paradox in inflation. Nonetheless, C has not actually been observed decaying since it was first measured in the 19th century. The decay is purely theoretical at the moment. Anyways, it proves that if light can reach earth from stars which are not in the local vicinity and yet that same light experiences relative Hubble shift then the universe must be older than 15 billion years (being the time of existence determined by the Hubble equation with a constant C). In any event, c does not affect the time for radioactive decay - or perhaps you can point out the time element in the only equation that makes use of it for the conversion of matter to energy - E = mcc. No, if all fossils were laid down at one time during a world wide flood then we would expect to see a sequential fossil strata with respect to the geological components therein. This is not what is observed. Fossils of the same type are generally found in the same layer, however, those fossils were laid down over millions of years. Your assumption is that there is no geological shifts over millions of years. That is not an acceptable hypothesis given that we can see geological shifts (San Andreas fault to buildup of sand in sand dunes) all around us. Firstly the difference of bacterial and human genome length can simply be explained in the fact that bacteria began with a smaller genome and therefore will always have a smaller genome than humans regardless of mutations. This made me laugh - you are assuming that bacteria and humans began at different relative starting points. Where is your evidence for that (and no, the Bible does not constitute scientific evidence). It is part of your (or other people's collective) imagination and not supported by any evidence whatsoever. All in all, we can put this down to - evolution is a natural process which does not require a guiding hand whereas creation requires an intelligent designer. Everyday we see another part of the biological puzzle being put together. We have never seen a single skeric of evidence for the designer. Is it possible that the end result of evolution would lead someone to the mistaken conclusion of a designer - yes, that is possible. Is it possible for a designer to lead people to the possibility of evolution? yes - but only if that designer was intentionally deceptive, is that what you think of God? Are you not paying attention Alex? As I have repeated many times over, E.coli already possess the ability to digest citrate in oxic conditions. This was the whole point of including the diagram of the TCA cycle. This is not a phenotypic change but rather modification of sytems that are already in place. I am not going to argue this point with you again, you are simply not listening! Alex: perhaps you can point out the time element in the only equation that makes use of it for the conversion of matter to energy - E = mcc. I don’t pretend to know the math Alex, but I have been informed of the facts and can see the implications. Below is a resource for you if you are truly interested to know HOW this works. The fact that C is related to rate of decay is a point already established in physics (and physicist I am not!). by L. Vardiman, Dr Andrew Snelling, E.F. Chaffin. Alex: This made me laugh - you are assuming that bacteria and humans began at different relative starting points. Where is your evidence for that (and no, the Bible does not constitute scientific evidence). It is part of your (or other people's collective) imagination and not supported by any evidence whatsoever. I would never laugh at you Alex but occationally you do make me sad when it comes to your blindness to your own presupposed ideas. I KNOW that I am assuming a creator has made things the way that they are. You on the other hand do not even see that your conclusions about scientific data are biased by your assumption that there can be no God (or rather your deliberate suppression of that truth). Where is your evidence that your position is true? Thus far you have only raged and ranted and not produced much more than objections, as apposed to kozi, to whom I tip my hat in respect for his very stimulating contributions to this discussion. Alex: All in all, we can put this down to - evolution is a natural process which does not require a guiding hand whereas creation requires an intelligent designer. Everyday we see another part of the biological puzzle being put together. We have never seen a single skeric of evidence for the designer. One of many magnificent pieces of evidence that there is design (and therefore a designer) is the system of the TCA cycle. In this system you have enzymes breaking down the substrate at every point in a cycle which is linked back to further systems which use the products of the cycle to produce ATP (the base chemical energy unit of any cell). The TCA cycle requires the end product of the cycle to produce the first substrate in the cycle and thus begin the cycle. There is no point to produce only half of this cascade or even 90% of it, the entire sytem must be in place for it to work. There is no evolutionary advantage to be creating redundant protein hogging enzymes – so how in the world would this system be produced? I know this is being put in symplistic terms but time constraints are constant in my life so you will have to make do. The Cit+ mutation could not be a variant of tartrate transporter if the tartrate transporter was not present - i.e. if there was no plasmid present, which there is not. And as Alex pointed out, changing a transporter from anoxic to oxic is not a simple switch either, there are a number of different operons that would need to be worked on. The mutations involve the ability to allow citrate to pass through the cell wall. Given that a cell wall is the resulting phenotype from the bacteria's genome - it is clear that Cit+ E.Coli have a phenotypic change. In answer to your initial article in which you state: "Have bacteria evolved?" - the answer is clearly, yes. Wasnt there another post here from me???? After a long time considering of how creationists and evolutionists should debate, there are a couple of things I would like to comment on. Firstly I still affirm all the truths put forward by the article. I also stand by my comments that these experiments are not a support for evolution and merely represent the modification of available genetic information. That said I believe that I have been both condesending and disrespectful in the way I have couched these truths. To any people involved in this debate, Alex Kozi and any other readers from the evolutionary "camp"... please accept my sincere appologies for the way I raised this issue for discussion, it was wrong of me. I am not going to ask the rest of the team to remove this post, but rather want it left up as a stand for honesty. Interesting discussion. Especially, the unknown processes for the arrival of the mutation which allows citrate to be transferred through the E. coli cell wall during oxic conditions. Since those processes remain unknown, then why pretend they are known? Evolutionists are consistently guilty of presenting hypotheses as facts, while they remain hypotheses.